In appropriate situations personal information may be made “anonymous” so that the individual is not known. A cookie is a small file which asks permission to be placed on your hard drive. Cookies are used by Hunter Jacobs Pty Ltd to tailor its operations to your personal needs by customising the website. You can choose to accept or decline cookies. Most web browsers will accept cookies automatically but you may decline cookies by adjusting your browser settings. Reasonable steps are taken by Hunter Jacobs Pty Ltd to ensure that personal information is accurate and up to date. 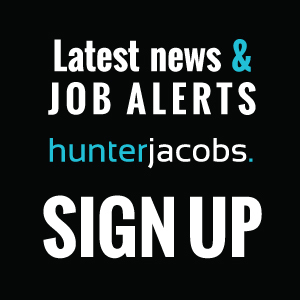 All current and former employees of Hunter Jacobs Pty Ltd, applicants for jobs, current and former contract workers of Hunter Jacobs Pty Ltd as well as any potential employees are asked to inform Hunter Jacobs Pty Ltd if any personal information changes. You may at any time make a written request for access to the personal information held by Hunter Jacobs Pty Ltd under the Data Protection Act 1998. You have the right to have any personal information updated or removed as appropriate. Hunter Jacobs Pty Ltd is committed to ensuring your personal information is secure. Hunter Jacobs Pty Ltd has put in place suitable physical, electronic and managerial processes to safeguard and secure any personal information that is collected through this website.